Presenting another rare Indian comic cover from yesteryear. This time its Gems Bond, an unpretentious inspiration from the more famous James Bond created by Ian Fleming. Cadburys India have always been innovative in their quest for making the colorful sugar coated chocolate pebbles more appealing to the kids of this country. We all know of the Pandas that come along free in Ball shaped Gems Containers now, but the Kids of the 90's had a Gala time reaping the promotional freebies which used to accompany a pack of Gems as well. From Stickers, Frisbees and Rocket Shaped Boxes, there was always something new that came home with Gems. Infact, the Rocket Shaped boxes were so popular at one time that kids started taking them to school using them as Pencil boxes and not surprisingly, the kid who had one was the envy of the rest of the class! Gems Bond came in a long line of marketing themes and campaigns which were created for the brand from the late 80's to mid 90's. 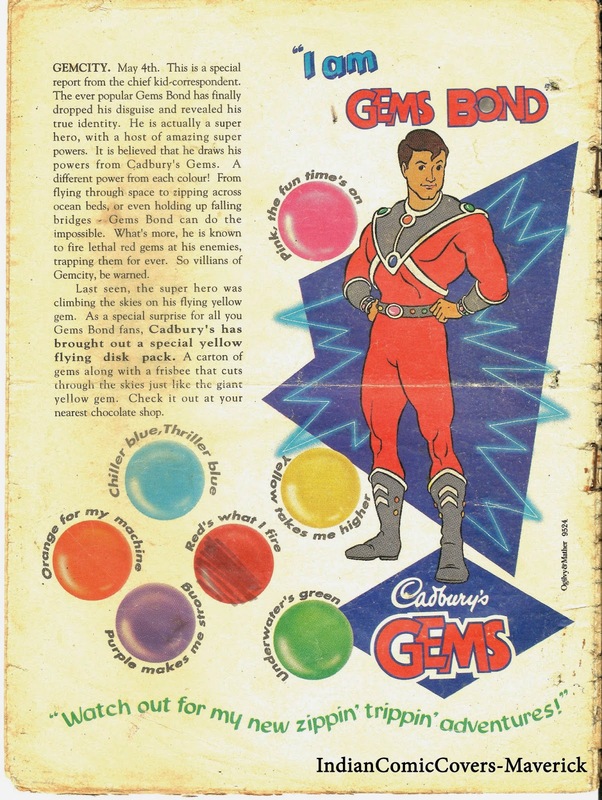 It primarily revolved around Television Commercials which comprised of an animated clip featuring the Character 'Gems Bond' who saves the day by using the power which he seemingly derives by popping in the gems candy, with each colored pebble giving him a particular power (The powers which correspond to each color can be seen on the rear cover of the comic presented here). Recently, I was pleasantly surprised when I stumbled upon these commercials on Youtube, the links to which are presented below. 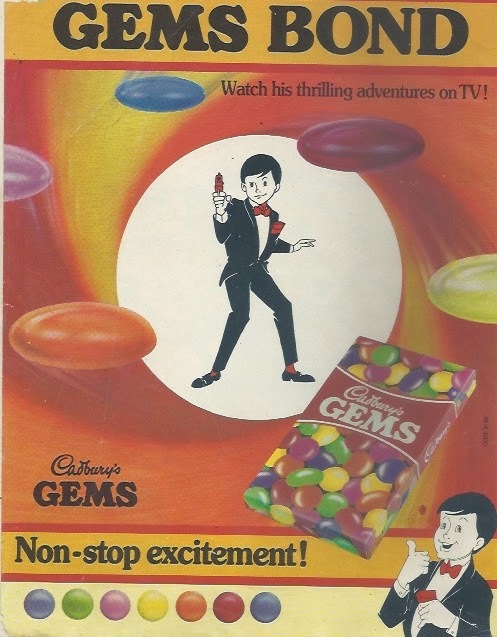 For a long time, I was under the impression that the TVC's and print advertisements were the only marketing tools which were used around the 'Gems Bond' theme. Hence once gain, it was a pleasant surprise when I came across a Gems Bond comic few years back in a second hand book shop. 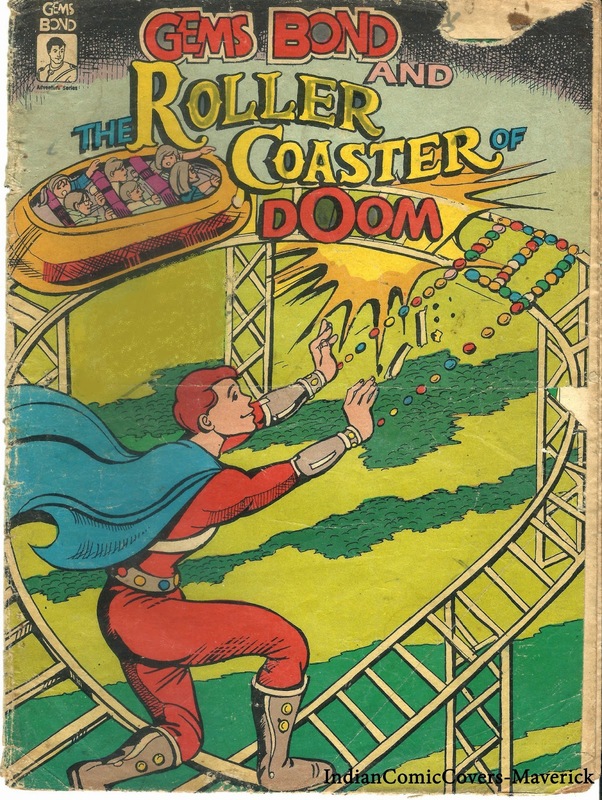 Although the covers are damaged, I am happy presenting this rare gem on this blog!